This place is dedicated to YOU. To women. To soul. We are part of the current FEMININE REVOLUTION. We offer a wide spectrum of women’s centred spaces for healing, growth and professional development. Individual mentorship, feminine health treatments, pregnancy support, birth preparation and personal coaching, education, learning & training, as well as inspirational products and personalised rituals for women. Couples and Families are welcome too! I am the creatrix and founder of The Women’s School and sole practitioner at The Women’s Clinic. My life’s work so far has been to recover feminine wisdom, women’s knowledge and pathways of The Goddess that have been long forgotten. I am a specialist “midwife of the soul” – creating the spaces for people to birth their soul essence fully into life. An integral part of it all is the embodiment of the uniqueness of YOUR soul, reverence to the Feminine in all of life, deep honouring of our health, our selves as part of nature, and our inherent worthiness. 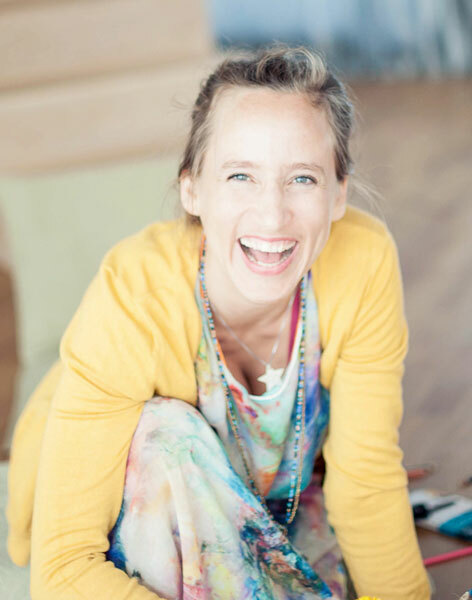 I am an educator, therapist, birth professional, artist, spiritual person and change maker with a passion for the feminine awakening in our world today. In my pioneering work as the founder of a feminine inspirational and educational platform – The Women’s School, and as a Feminine Wisdom professional, I have brought together all my life experience of womanhood, feminine rites of passage, professional birth attendance and pregnancy support, the soul pathways of birth, Medicine Woman wisdom, creativity, art, dance, movement, yoga, conscious sexuality, meditation, natural health care, body & trauma therapies, holistic healing, and the mystical pathways of the feminine. This is a space to go deep, to discover, grow and unleash your Self. It is also a space to go slow, be gentle, be mindful and unlearn the patterns that have been placed upon you. It is a space that has grown through multi-disciplinary education, thinking and experience – because this time is an important time for us women to understand ourselves, our bodies, our hearts and minds. It is a place where you can receive individual support and in-depth education as well as professional growth. As an international women’s centred Clinic and School we provide services, courses and Training globally – online as well as in person. My own life has been a rich, colourful ride with an enormous amount of incredible adventures, massive challenges, beautiful awakenings and deep love. I have had a lifelong passion for all things soul and a deep commitment to the feminine revolution happening now. My life blood pulsates for us women, for the children being born now, for the feminine within us all and for more love on the planet, that is our home. My aim is to create spaces of true recognition of the value and importance of the soul and the feminine, as well as an integrative approach to feminine centred education and the creation of new career pathways for women – within the feminine healing fields. Because relationships have been a pivotal part of my life path and because they are a vital element of many women’s lives, you will find services for couples, intimate relationship and heart healing space for yourself here. Relationships carry great potential for inner & outer transformation. You can receive support here for your love relationships when you need it. Learning and healing spaces around the themes of love, intimacy, sexuality and sensuality are such an important aspect of feminine healing work and many of our lives. We also provide comprehensive support throughout all journeys of conception, family creation, pregnancy, birth processes of all kinds and processes of loss. All aspects of our lives can serve as vehicles for our spiritual growth – and birth is one massive one. The way I approach birth is two fold – a deep understanding of our physical births as well as the fact that birth is a cosmic energy which works within us as a creative principle, transformative force and a potential spiritual pathway. I have delved into the world of birth from many angles, integrating a wide range of perspectives into the work that I offer here. Physically, emotionally and spiritually birth offers us keys that can open doorways into women’s wisdom – the wisdom of birth that lives in all of our bones. Birth teaches us about the feminine mysteries and is a gateway into feminine wisdom. This deeper, unspeakable wisdom is what my life has been about, as a midwife of the soul. Uncovering the magic that lies within our Feminine Rites of Passage in general and the birth of our soul in particular. Providing educational spaces of learning and growth in these times of change is a main aspect of my work and the spectrum of learning is interdisciplinary in nature, in order to link the many fold aspects that come together when we begin truly working in the feminine field. And Yes – there is a space for men here too … as the Feminine weaves through all of our blood, bones and soul make-ups.